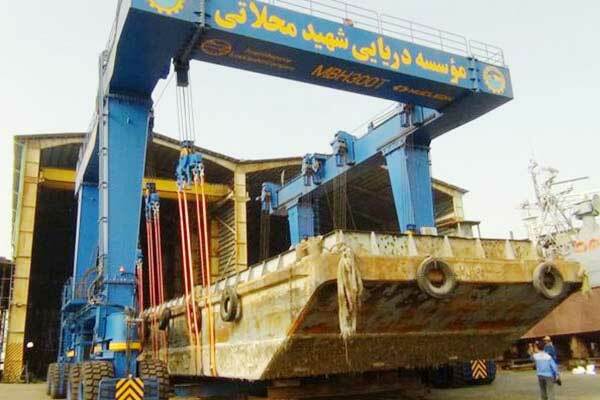 On April 29, with the presence of Mr. Seyed Hossein Hosseini Mohammad, director-general of the province of industry and trade, Mr. Lan from Nucleon and engineer Mohammad Reza Zamani, the crane MBH with a capacity of 300 tons was launched. The MBH300t crane costs 50 billion, Javad Abbasi, Deputy Director of martyr, said in the opening ceremony, These devices exploit the space 2-acre rail yards. Deputy Director of martyr Mahallati: It is a new step in the development of marine in Bushehr, Iran. With the launch of this crane for building vessels at martyr Mahallati, at least 10 more aircrafts will be manufactured per month and providing jobs for at least 100 people.